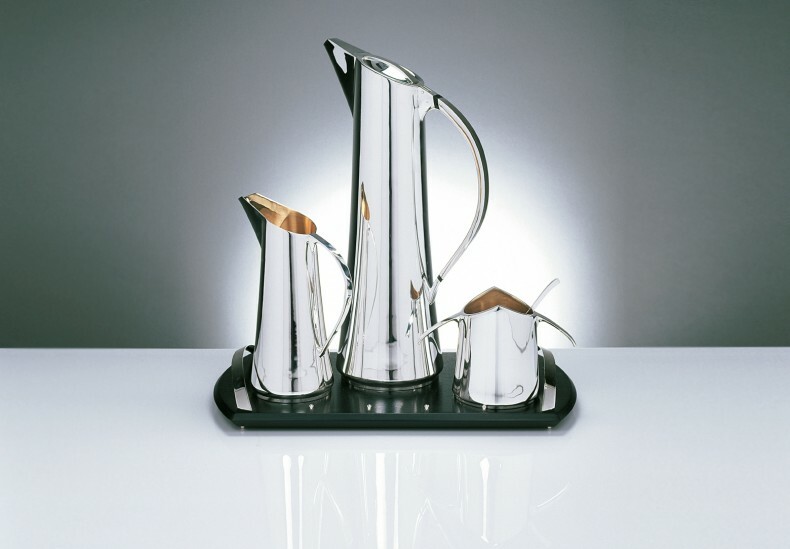 Present your coffee with style and panache. 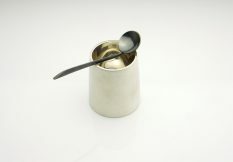 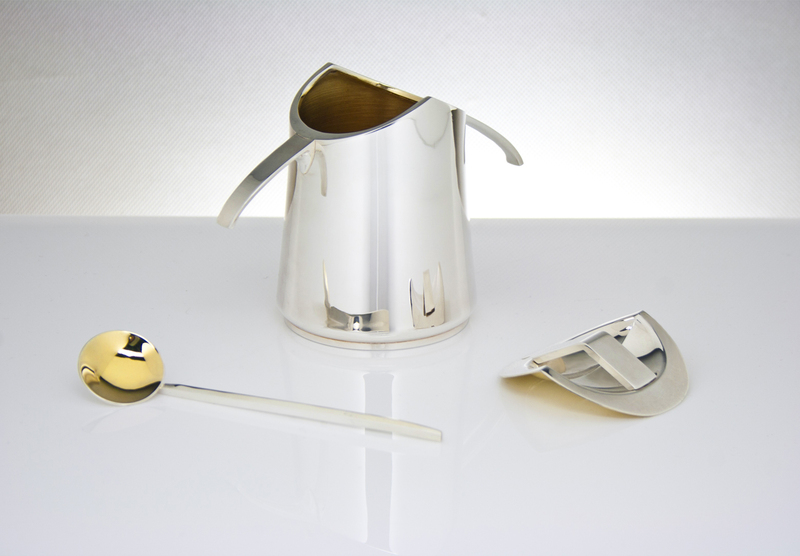 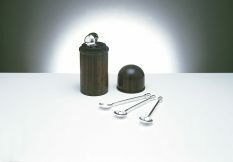 This smart set comprises a coffee pot, cream jug, sugar bowl, spoon and tray. 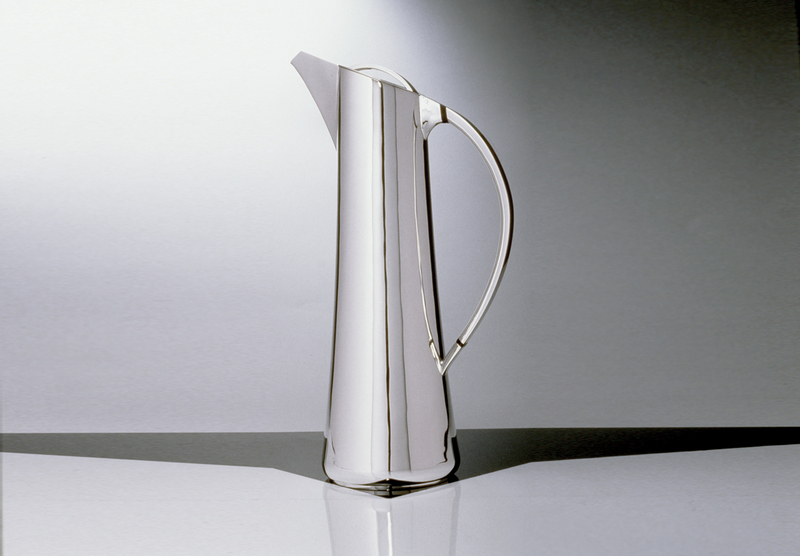 The streamlined coffee pot has an insulated handle and a flush fitting, hinged lid, with a generous 1 litre capacity. 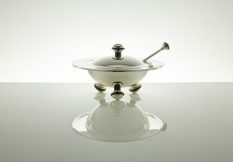 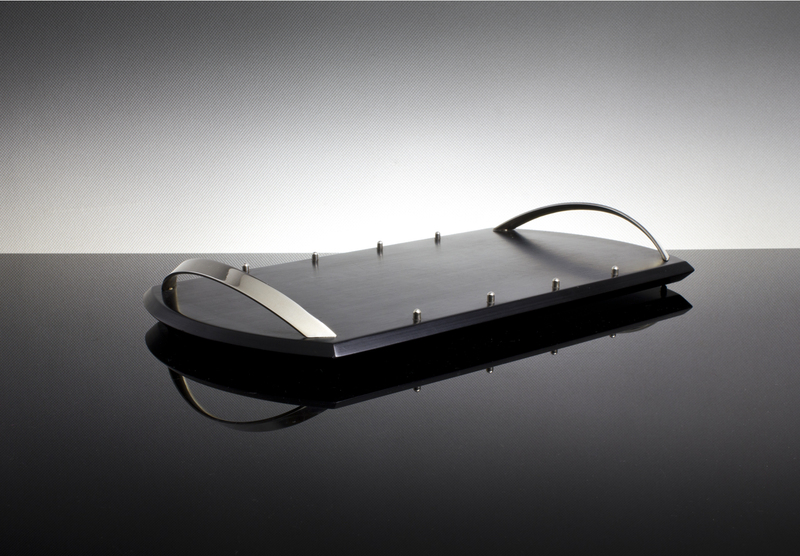 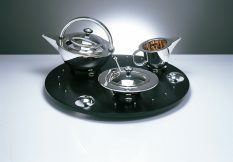 The pot and jug spouts pour accurately and the ebonised tray with silver handles and edge studs presents the set perfectly.